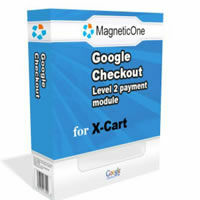 X-Cart Google Checkout Level 2 payment module is designed to be used with X-Cart and Google Checkout Payment system. This is COMPLETE Google Checkout Level 2 integration. Google has announced FREE processing of all orders until 2008! 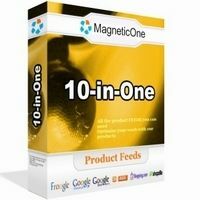 Hurry up to start using this NOW MagneticOne X-Cart Google Checkout module advanced features: ... Support for Product Attributes ... Module supports product attributes with price modifications (like "Size XXL +$10"). ... Support for Taxes ... All standard tax modules are supported "out of the box"! Unique feature: taxes are calculated on-line based on final billing address of your customer! ... Support for Custom Tax Modules ... 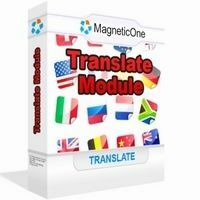 Supports Tax Modules, created according to x-Cart requirements ... Support for Shipping ... Support for flat-rate shipping modules, on-line calculated shipping methods. ... Unique feature: shipping costs are calculated based on final shipping address of your customer! ... Support for Custom Shipping Methods ... Supports Shipping Methods, created according to X-Cart requirements ... General X-Cart Discount supported ... Discount coupons supported ... Free shipping coupons supported ... Passes order tracking numbers back to Google Checkout from X-Cart ... Extended Logging ... Very useful to see how your store visitors using this payment method ... Test mode support ... Enables you to test prior to enabling this X-Cart mod as payment method ... Ability to disable Google Checkout for specific products ... Allows to exclude products which are not accepted by Google ... Supports Google Analytics integration ... Includes detailed installation instruction Google Analytics enables a merchant to understand how visitors interact with the merchant's website. Google Analytics also helps the merchant to identify navigational components that promote or inhibit conversions to sales, enabling the merchant to optimize ad campaigns and website content for increased sales.